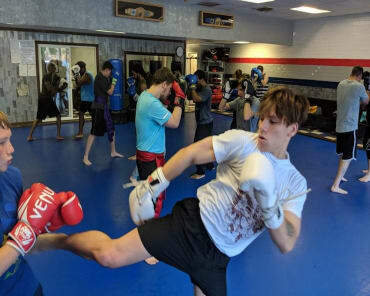 Muay Thai Kickboxing is one of the most dynamic martial arts in the world and we are proud to offer men and women across Greensboro the chance to try it out firsthand. 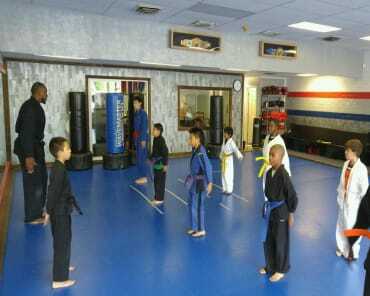 At Konquer Martial Arts Academy, our Muay Thai Kickboxing classes are offered for both kids and adults. We challenge you from start to finish with a combination of punching, kicking, and plenty of cardio exercises. This class is great for all experience levels. 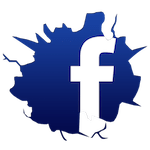 Just fill out the short form on your screen to learn more today! 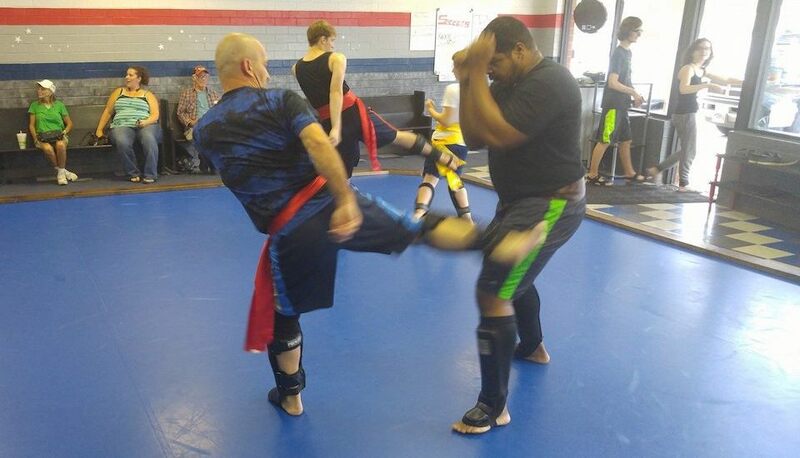 This discipline teaches students how to strike with every limb of the body, helping you generate power and speed using your fists, feet, knees, and elbows. 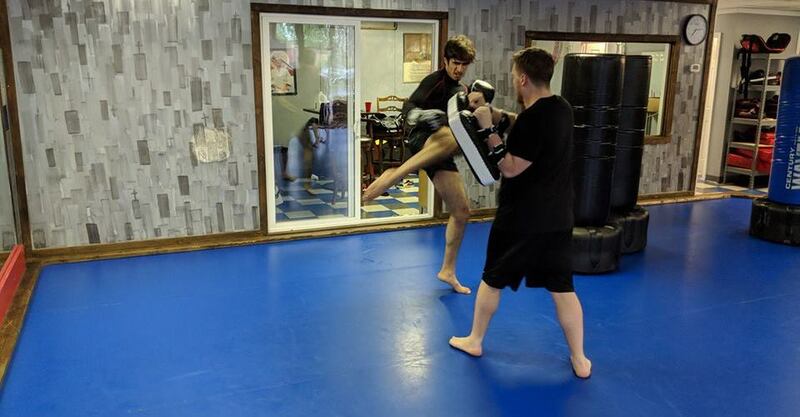 At Konquer Martial Arts Academy, our Muay Thai Kickboxing classes offer striking technique, high-intensity circuits, and total-body strength training. We're helping you blend the very best aspects of fitness and self-defense. There's truly no match for Muay Thai Kickboxing when it comes to strength, speed, and endurance training. This program challenges you to work every muscle in your body and dig deep to give it your all during every session. We'll keep you motivated with new challenges and increased difficulty every week as you build your skills and enjoy total-body results like never before. Looking for a new way to train? Look no further. 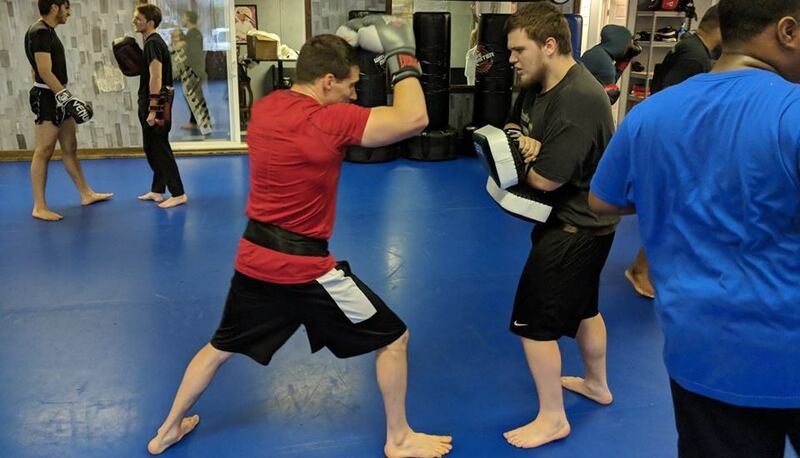 Our Muay Thai Kickboxing classes are giving men and women all across Greensboro the chance to get fit and have fun in the process. Join us today for the best self-defense and fitness training in town. 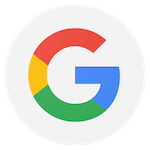 Just fill out the short form on your screen to learn more.